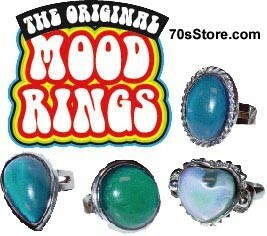 Mood Rings, what a flashback! Can't wait to get my hands on some of these again, in fact gonna scour ebay for some job lots! Also basic primary shapes, I really love! I think these elements could combine somehow to create a fabulous leotard or dress! Imagine, a diamond shame in the middle of the leotard, made from lots of little mood triangles. 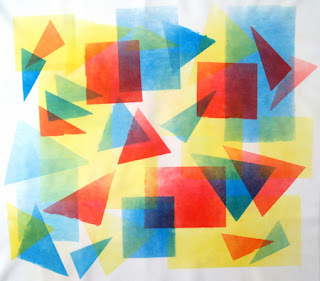 Then, the background is sort of airbrushed with small shapes, a little bit like confetti or a party popper explosion. Really want to start customising leotards. I think I will do this asap. The colour would change in accordance to your mood, so the leotard would be sort of magical! Very exciting.